Istanbul (AFP) - Turkey on Monday urged Syria and Russia to halt all bombing on the Syrian province of Idlib, and called for a ceasefire in the region near its border. "Our priority is to put an end as soon as possible to all the ground and air attacks and to ensure the implementation of a ceasefire and of stability," Turkey's Defence Minister Hulusi Akar was quoted as saying by the state-run Anadolu news agency. 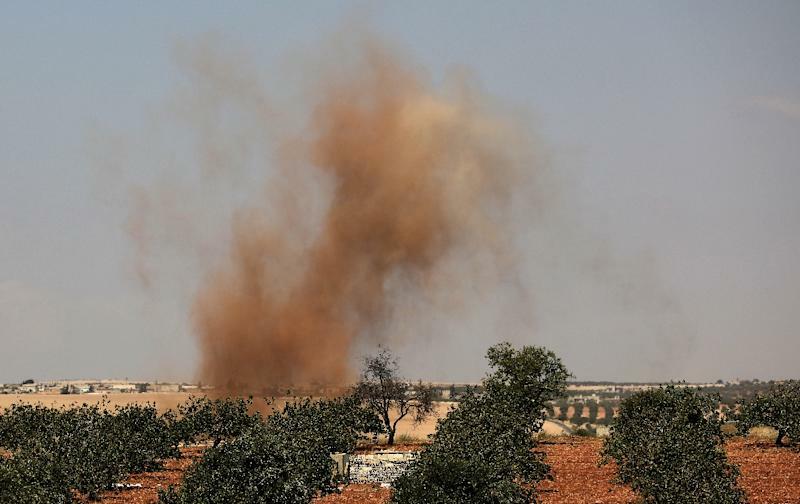 The province of Idlib, in Syria's northwest, has been the target in recent days of artillery bombing by the regime forces of President Bashar al-Assad, as well as Russian airstrikes. The United Nations warned Monday that a large-scale military operation against the rebel-held province could create "the worst humanitarian catastrophe with the biggest loss of life in the 21st century." Violence has displaced 30,000 people in Idlib and the adjacent province of Hama this month alone. Idlib is home to some three million people -- about half of them displaced by fighting in other parts of the country, according to the UN.